CHOOSE FROM MULTIPLE SIDING OPTIONS WITH THIS SHED FULL OF STYLISH STANDARD FEATURES. The Southern Classic is full of charm and comes with a long list of standard features. 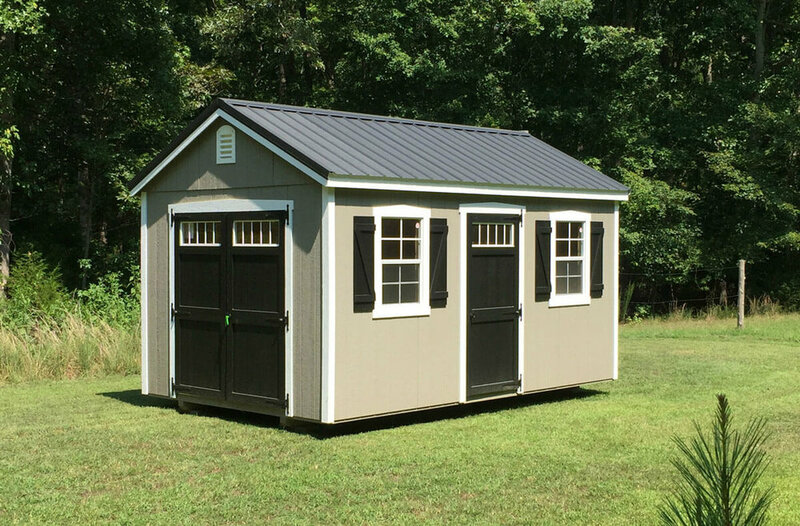 Taller than the average shed, with 7’4” side walls, this shed features two 24x36 windows and z-shutters; doors adorned with transom glass and deluxe hinges; and classic trim around both. It also showcases classic gable vents, a diamond plate threshold and deluxe overhang that helps it stand out in all the right ways! You can also add extra style and pizzazz by including optional packages and extra accessories such as cupolas and weathervanes. Choose between metal or shingle for your favorite roof option. Both look amazing on the Southern Classic shed. The wood trim, shutters and doors provide a beautiful contrast to the vinyl siding on the Southern Classic shed. 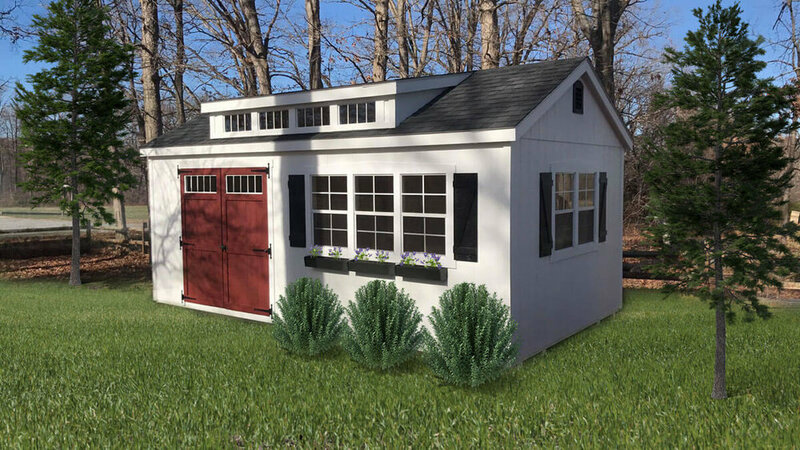 Take your lap-sided shed to the next level when you turn it into a Souther Classic. The high walls, roof overhang, classic trim and transom glass in the doors really make it shine! Why Choose A Southern Classic Shed? Each of the big and small architectural details found on the Southern Classic elevates this shed from the ordinary. From the deluxe door hinges to the classic trim, this is a shed you will enjoy seeing everyday in your backyard. You have the choice of siding styles. Regardless of which siding you choose, the inside will stay cooler and brighter than typical sheds since we include a thermal radiant barrier on the walls and roof. It is more comfortable than ever to spend time in your shed. You can dress them up, or keep them simple. Adding items like a cupola and weathervane are like the cherry on top! So Much More Than Storage! Design A Shed For Your Life! 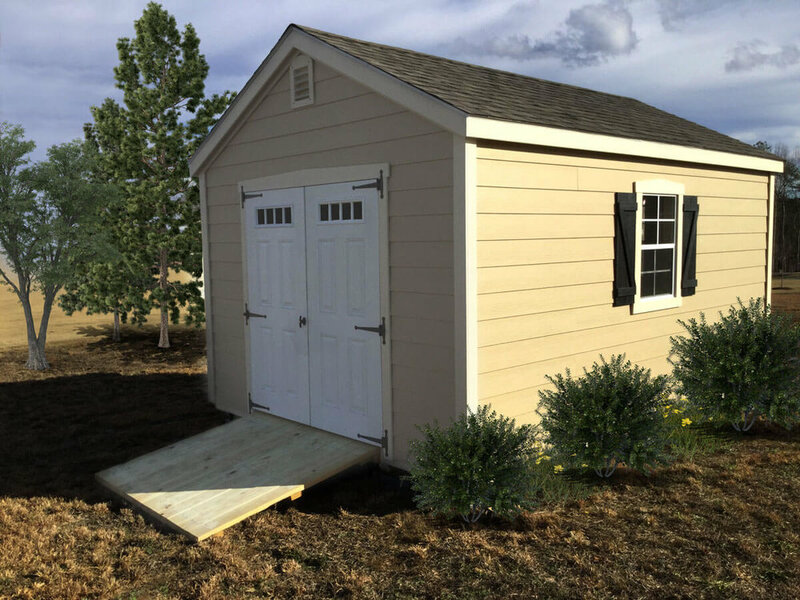 Maximize its usefulness by adding one of our custom packages to create a garage, craft studio, home office, reading nook, or handyman shed of your dreams!